Another post from one of this year’s expected releases from SKII. The Cellumination Essence-In Foundation, in shade 310. SKII Came up with the whole range of Cellumination. Its a new concept, in the terms that it works with the skin to enhance the light absorption and emission. Mainly from the “blue” section from the white light. According to SKII, this is what gives a glowy skin, an Aura. The range is composed by a moisturizer, a serum (essence) and a foundation. They have a variety of shades in the compact foundation. What catched my attention was mainly the shade 220. I thought it would be lighter, but actually, its not. Since it has strong pink undertones, its a tad darker than the 310. I got the 310, since its lighter and it has more of a beige-yellow undertone. I would say its more of a neutral undertone once blended in the skin. It has an interesting swirl of a whiteish-pearly substance in the foundation. Its whats supposed to be the “treatment” to enhance the luminosity/Aura of skin. So its actually a 2 in 1 foundation. Its more of a treatment foundation. That being said, i was super-über interested in it. Anything luminous, brightening, lightening, whitening, shimmering, you name it, im interested haha. So ofcourse, i had to get my hands on it. I did buy the refill, because mind you, the full compact was way too outrageous money for me to spend. Specially not knowing if i would like it as bad as to keep it and not put it up for swap. Stay flawless and radiant with this foundation that contains the same beautifying skin care ingredients which give skin a translucent finish. Combines makeup & skin care in one Nourishes skin to promote well being Delivers a translucent & radiant finish Erases signs of fatigue & refreshes skin tone Leaves you a flawless & healthy complexion. First impressions: The refill is extremely well packed. Its actually a “cute” hard case that keeps the “interesting-candy-like” foundation (hint: swirl, like red-white swirl lollipops). It has no detectable scent. Its a very melt-ish product. Actually a bit too melting. I can see this product finishing up quite quickly if you use it regularly. It has a very fresh texture. Almost cooling. On the Face test: It melted quite evenly on my skin. Its very fresh, although you do need quite an amount to cover the skin. 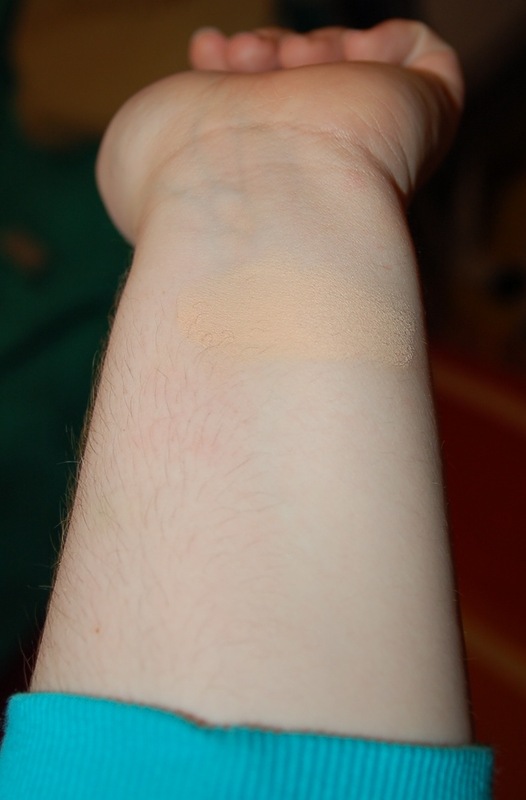 Its not very high coverage, as i would have expected from a cream compact foundation. I didn’t notice any amazing brightening effect. 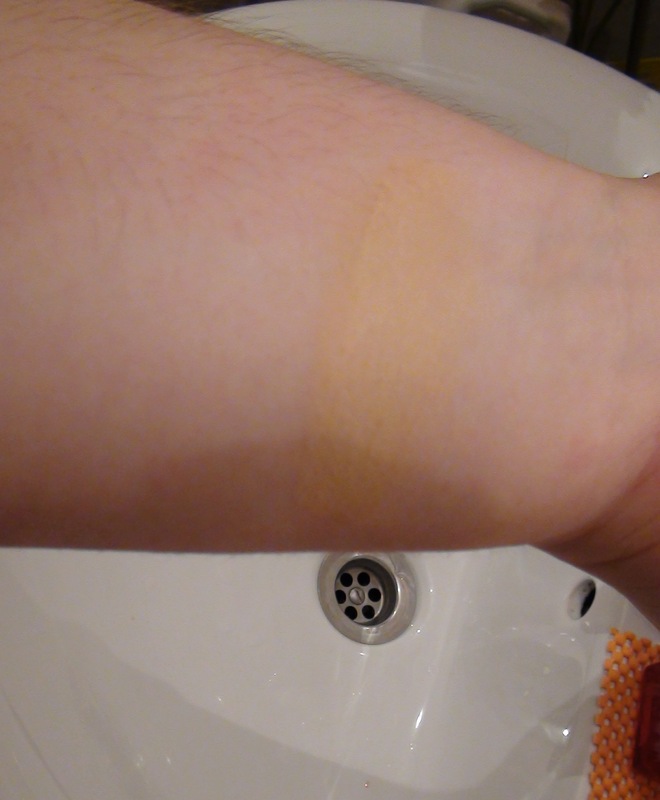 But it does smooth the skin texture, and the light seems to be reflected a bit better. What did bother me, was the excessive powdery finish for my taste. It enhanced some of my pores. So, keep that in mind. It dries a bit more powdery. I tried to set it with powder, but it did mess up the slight brightening effect it had (light transmission). So in my opinion, skip the powder step with this foundation. It has a medium wear. I would say intact around 4-5 hrs. This foundation wouldn’t be suited for those with very oily skin, or dry/very dry skin. 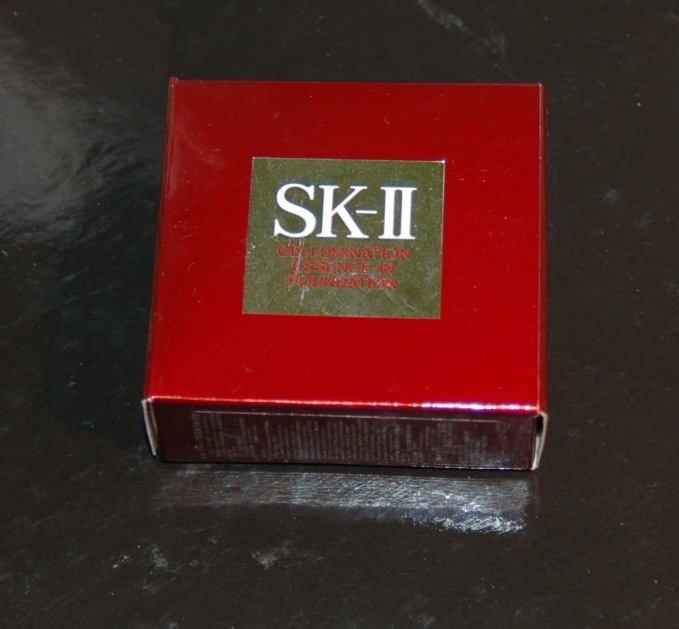 Thanks for the review, since there aren’t many on the SK-II makeup products. 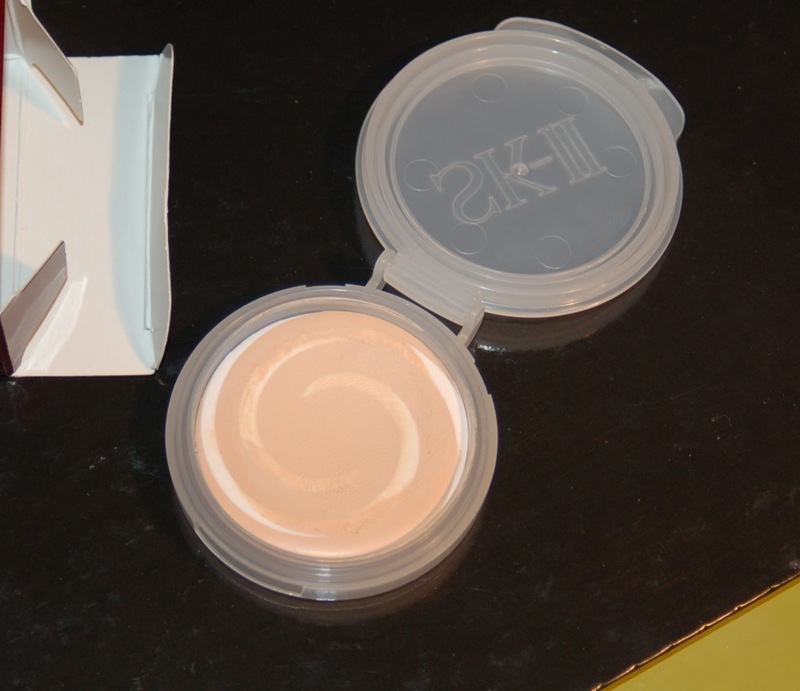 I am, actually, very interested in the SK-II Sings Transform Foundation, the one without a swirl in it. The commercial with Koyuki Kato seems perfect and I can’t stop watching it, lol. I know commercials are decieving, but I still think the foundation must be the best for myself out there. I found reviews only on two sites, Makeupalley and some other and it has excellent review points, but I am not really sure about the finish of this thing. If you watch the commercial on YT, Koyuki seems to have kind of a dewy finish, but on some sites it says the finish is matt. How come is this possible? I bought the SKII Cellumination foundation and nearly finished it. Its a gorgeous foundation. I might have to do a review on it. Thanks for commenting, and I apologize again for the hiatus.